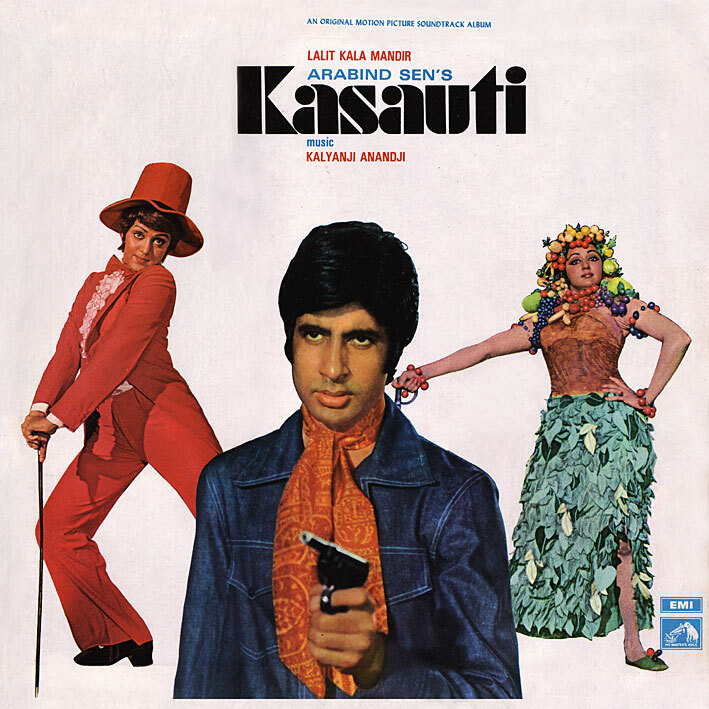 A Kalyanji Anandji score, mid-70s; chances are it'll be a worthwhile listen. That was my reasoning when deciding to buy 'Kasauti', and I wasn't entirely wrong. Perhaps not one of their top, most memorable soundtracks, but it has a few good songs. There's the playful, rock'n'roll tinged 'Baby Ho Gayi Hain Jawan', with plenty of fun instrumental details if not the strongest of melodies. The same can be said of 'Yeh Time Time Ki Baat', this one having a few cool jazz bits added into the mix. And my current favourite, the lovely, loungy ballad 'Rangmanch Ye Duniya Sari'. Thanks PC for the lovely rips...Typical KA sounds.